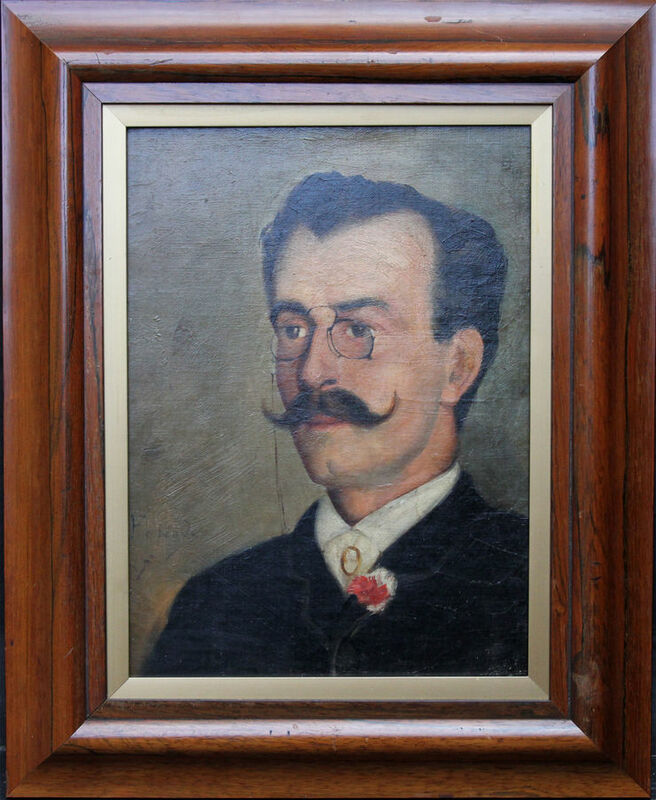 This charming portrait oil painting is of Alfredo Carneiro da Cunha, Portuguese Journalist. Painted circa 1880 he is sporting a superb waxed moustache, pinz nez, flower in his lapel and small cameo on his cravat. A fine portrait by the French artist Anacharsis Fourcade who worked in America during the mid 19th century. A very rare painting by an artist emigree working in America. 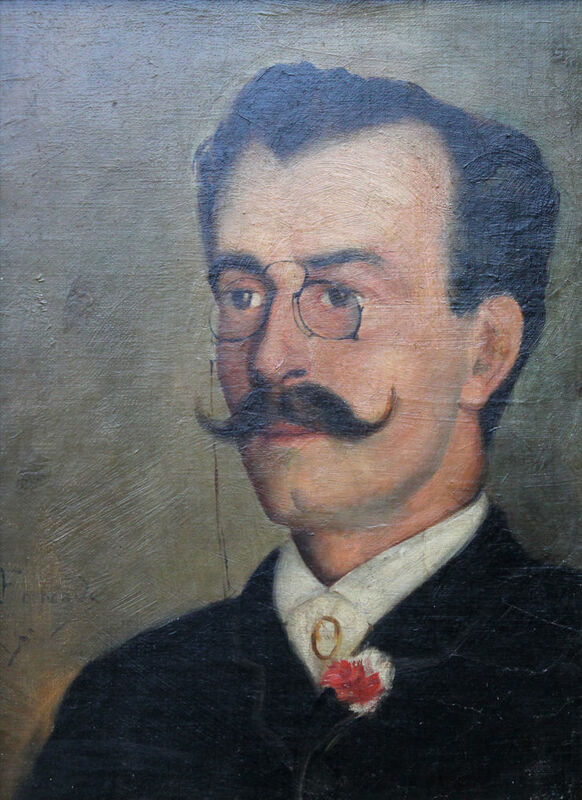 Alfredo Carneiro Da Cunha (1863-1942), better known as Alfredo da Cunha, was a lawyer, journalist, writer and entrepreneur of Media, which stood out as one of the first historians of journalism in Portugal. He was son-in-law of Eduardo Coelho, co-founder Of The Lisbon News Journal, to whom he succeeded as Administrator and director. Housed in a wooden frame that compliments the picture, 18 inches by 14 inches approx.